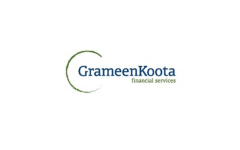 Business description - CreditAccess Grameen is a leading micro-finance institution headquartered in Bangalore, focused on providing micro-loans to women customers predominantly in Rural Areas in India. According to CRISIL Research, it was the third largest NBFC-MFI in India in terms of gross loan portfolio as of March 31, 2017. Its range of lending products addresses the critical needs of customers throughout their life cycle and includes income generation, family welfare, home improvement and emergency loans. CreditAccess Grameen IPO allotment status is now available on Karvy Computershare’s website. Click on this link to get allotment status. why almost all Brokers said ‘Subscribe’, when there is visible no listing gain & only long-term pain is waiting? are they say so because of ‘Paid Preview’ / Free-Advise to destroy Retail Investors’ money? QIB subscription was 5 times ,this indicates it may give 50 % return if hold for a while. how? what is that basis of ur tukka? Flop show, poor subscription in two days. HNIs are just not interested. There will be some more applications on last day to complete the requirement but there is clearly no buzz around this IPO. Stay away as there may be selling pressure on listing day!! Not bad……. listing gain 5-10 %. how? again …. what is that basis of ur tukka? see 2day’s listing & figure-out all by urself! SKS is already in field .Good scope in South India.